roof and, more importantly, the roof that you want. With so many options out there, it's tough to know which roof options are right for you. Luckily, our team is dedicated to thorough customer care and service to make sure all of your needs roofing needs are met within your budget. At Lake Norman Roofing Pros, we take our craft seriously. We provide the best roofing solutions and services in the entire area. Period. Our goal is to design and install the absolute best residential and commercial roofs for our customers. We want your roof to stand the test of time. Ultimately, we are interested in saving you money in the long term by building you a roof that you simply don't have to worry much about. We're about fitting your needs and your budget into a roofing plan that will cover all the bases, provide energy efficiency, and give you exactly what you need in terms of your roof. Roof investments are not made lightly, which is why we guarantee the quality of our work with tremendous warranty options. Our team of roofing contractors at Lake Norman Roofing Pros is fully licensed, certified, and insured for roof repair, installation, maintenance, and replacement. We are proud to offer the community of Huntersville, North Carolina the absolute top notch services when it comes to all things roofing. Specifically, we do roof repair, roof replacement, roof installation, metal roofing, hail damage repair, and wind/storm damage repair. It is always a good idea to count on the professionals for your roofing needs. It will save you money in the long run by guaranteeing that the roof over your head is a quality investment with expert knowledge and top not notch materials behind it. Our roof repair services at Lake Norman Roofing Pros are the most professional and comprehensive in the Huntersville, North Carolina area. We have specialized knowledge of roofs, all their parts and components, and how to keep the whole thing working optimally with no disruptions or damage. Our team of professionals bring many years of roofing experience to each repair job. We have all the best tools, supplies, and techniques to perform the most thorough and cost effect roof repair undertakings. There is no roof problem that our team cannot fix. 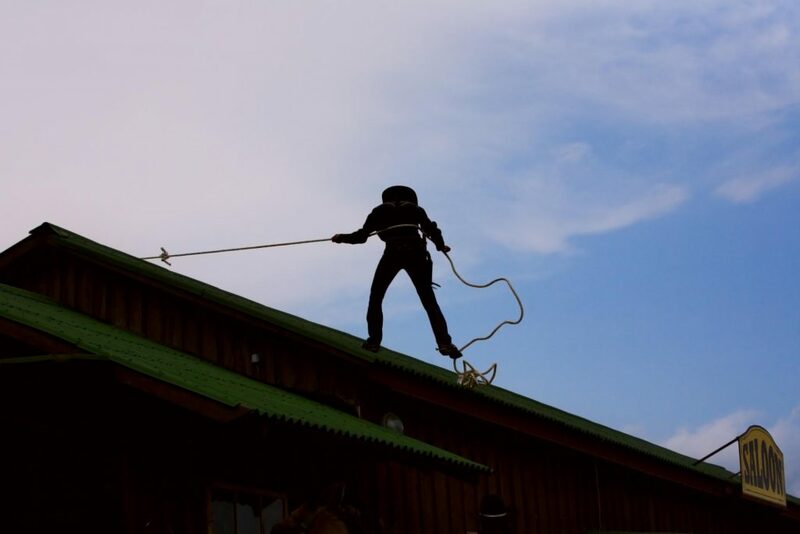 Call us today to set up roof repair or maintenance services. When it comes to roof replacement services, there's no one better in the business than our company at Lake Norman Roofing Pros. 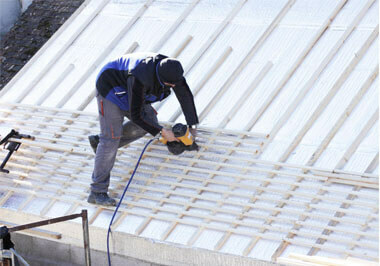 Our team of roofing professionals bring years of experience and knowhow to each job. We know how to identify roofs that need to be replaced as opposed to repaired and consulate directly with our customers on these points, providing complete transparency. We offer the most up to date, ecofriendly roof replacement options available on the market, with comprehensive, multiyear workmanship warranty options to boot. If you suspect you might need your roof replaced, get a hold of us today. We at Lake Norman Roofing Pros are true experts when it comes to roof installation services, whether for new buildings or old buildings being refurbished. Whether the job is for residential, commercial, or industrial roof installation, our fully certified and experienced professional contractors can get the job done with more competitive rates, higher quality labor and materials, a more wide ranging set of options to choose from, and complete customer care. Whether the roof installation is for a small or a big room, using roof membranes, or using state of the art solar or ecofriendly options, our team has you covered with fantastic warranty options and a promise of complete customer care. Did you know that on almost all structures, the roof has more potential to enhance total building energy than any other part of the structure? Metal roofing is currently the best choice for solar power roof solutions. In fact, we are Lake Norman Roofing Pros are also very excited about the future possibilities of metal roofing and solar power. Apart from that, metal roofing has several other benefits that include being the most ecofriendly roofing option. Metal roofs are also durable, reduce heat, are low maintenance, and bring a lot of other positives to the roofing conversation as well. If you'd like to know more about metal roofing, whether residential or commercial, call us today. Hail damage can be quite disastrous for roofs of many different types of materials. At Lake Norman Roofing Pros, we are experts when it comes to hail damage. We've seen a lot of it over the years, and it can be brutal. Hail damage needs to be taken care of as soon as possible so as to not risk more damage to your roof and to save the decreasing lifespan caused by hail damage. Hail damage quickly degrades the attributes that make a roof a quality product. It is important to rectify this in order to save manufacturers warranties and the overall wellbeing of your roof. If hail damage goes untended to, then that roof will surely be replaced several years earlier than it needs to. Wind and storm damage can cause serious problems for roofs. In the wake of a storm with high winds and falling objects, its important to contact your professional roofing contractors to make sure everything with your roof is OK going forward. If you miss even a little bit of damage, the problem can snowball to the point that your entire roof – and maybe the entire structure of your house – are in jeopardy. Our services involve inspecting and repairing wind and storm damage. We even work with insurance companies on your behalf to help save you money. If you have wind and storm damage or suspect you do, give us a call today. “"I wanted the most energy efficient and ecofriendly roof option available on the market. The professionals at Lake Norman Roofing Pros walked me through every step of the process to make sure I got exactly what I wanted. This price was amazing! I'd recommend these guys to anyone." –Nick L..
“"We needed our roof replaced, but weren’t sure who to call. Luckily, we choose the professionals at Lake Norman Roofing Pros. They came over to our house, looked around, then I was amazed at the amount of interest they showed in doing exactly what we wanted regarding our roof. The service was amazing and we are very satisfied." –Maggie T.
“"When our roof sustained storm damage, I was pretty worried that it was done for. I figured I should call some professionals to check it out. That's when Lake Norman Roofing Pros came over. They did a full inspection and then determined that the damage was not that bad, which they fixed up that same day. They could've had me for a lot more money! I appreciate their honesty and the quality of their work" –Tom P.
Do you need roofing solutions and services? Do you just have some questions about your roof, or maybe require a full inspection? Whatever your needs are, don't hesitate to pick up your phone and give us a call at the number listed on our website to set up a consultation or appointment with our professional and friendly representatives. If you need repairs, suspect you might need repairs, want to discuss a new roof, or want to set up new roof installation or roof replacement, our company at Lake Norman Roofing Pros is the one to call. We have you covered when it comes to all of your roofing needs, whether big or small.